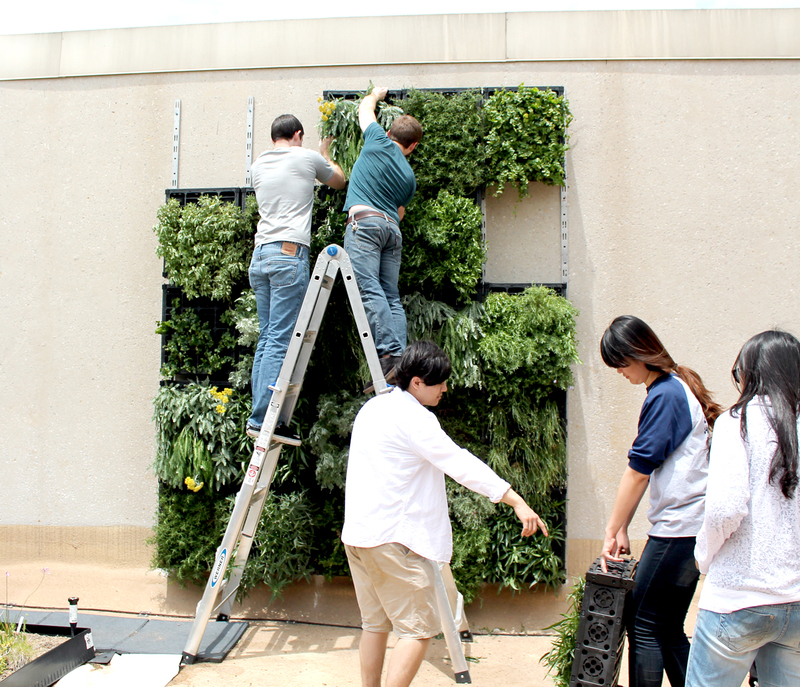 Today we were planting some of the modules for Green Wall #3. 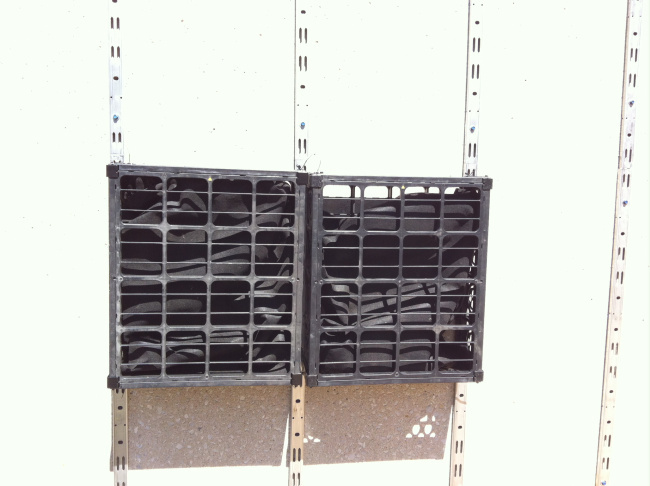 We took the crates and put black fabric inside to line them and keep the soil inside of them. 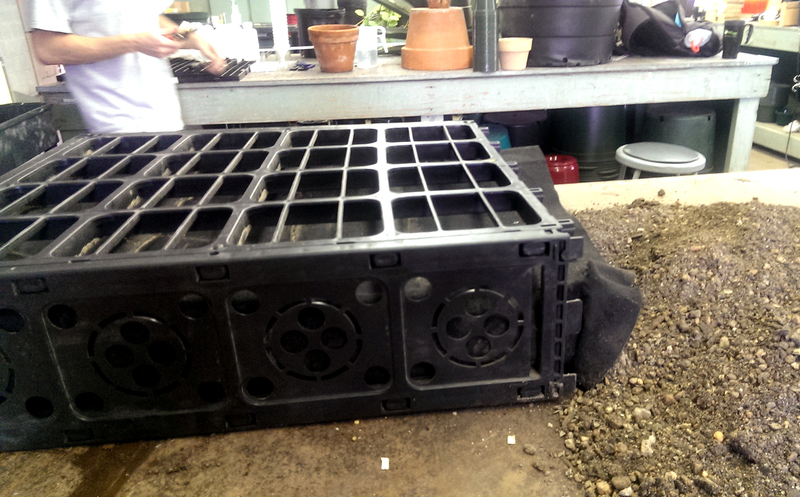 We put soil in the bottom of the crate, and then cut slits in the fabric for the plants to grow through. 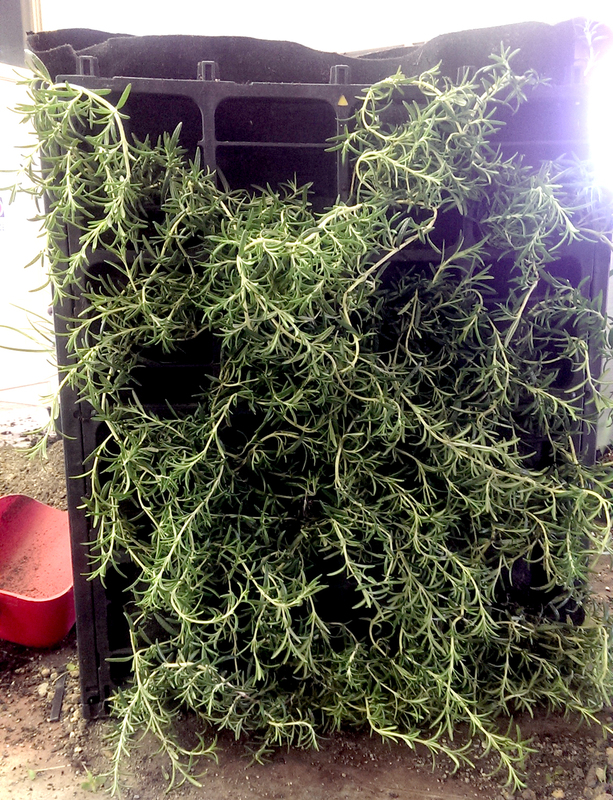 Then, we placed the rosemary into the crates and pulled the plant through the slit cut in the fabric. 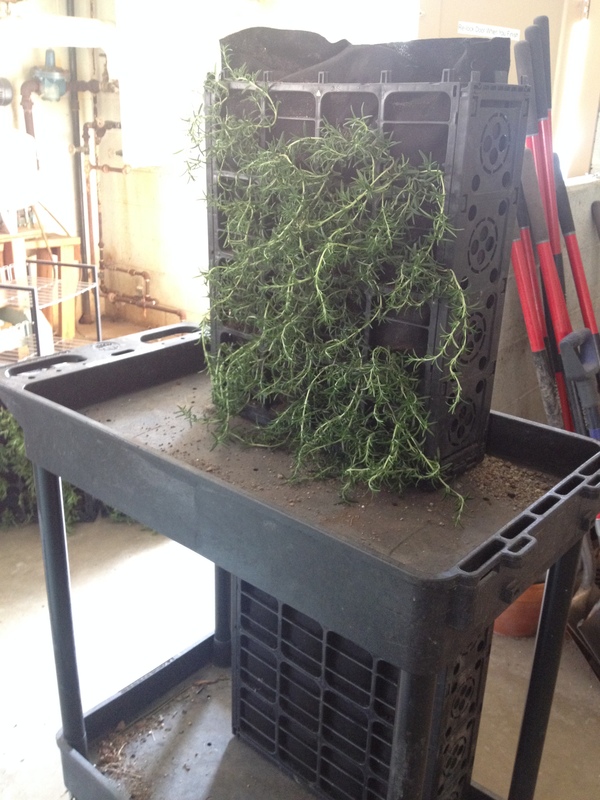 This allows the roots to grow inside the fabric and the soil, while the rest of the plant can be viewed outside of the crate. 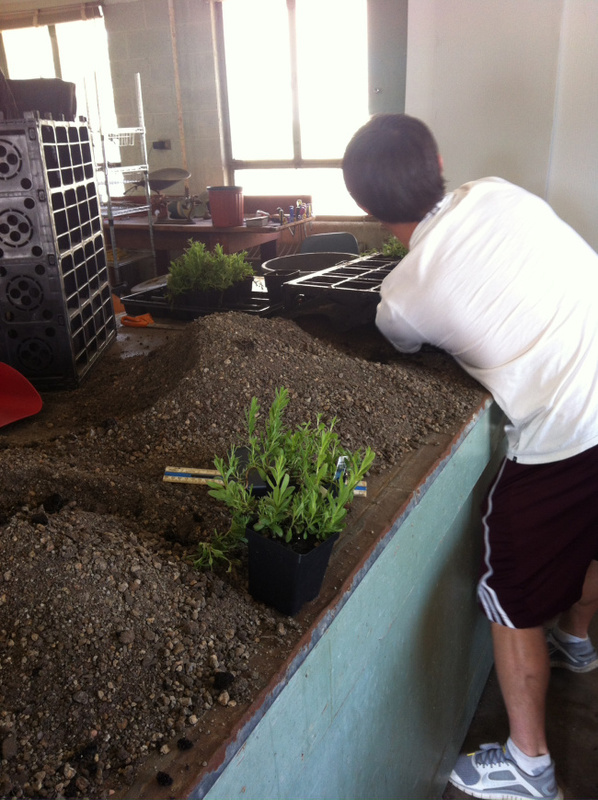 Then we topped off the row of plants with more soil. 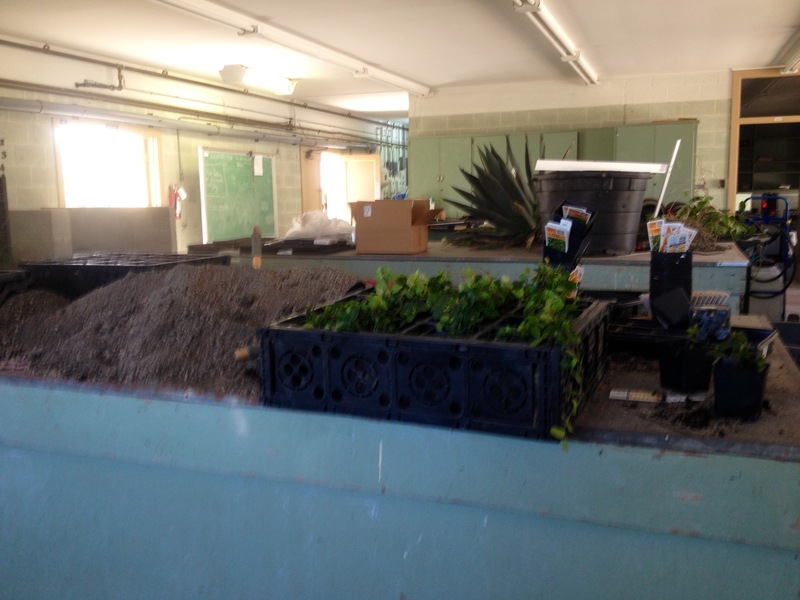 This process was repeated until the crate was filled with soil and plants for each row. 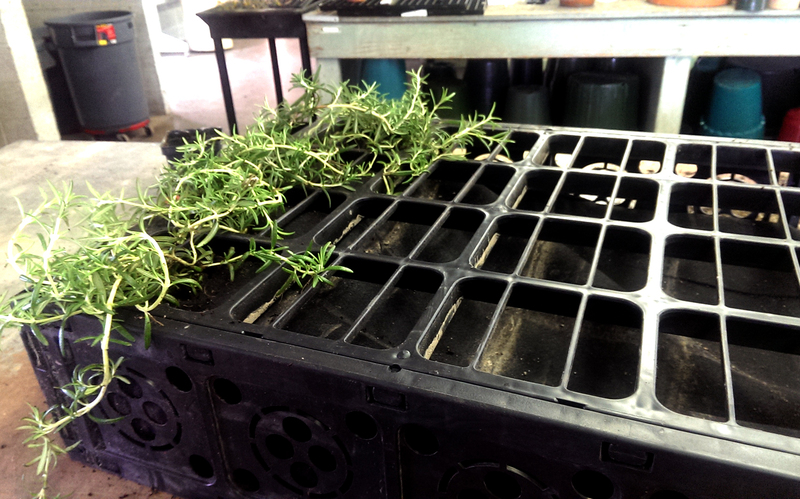 These plants are very secure inside their modules, and I believe this will help the plants thrive. 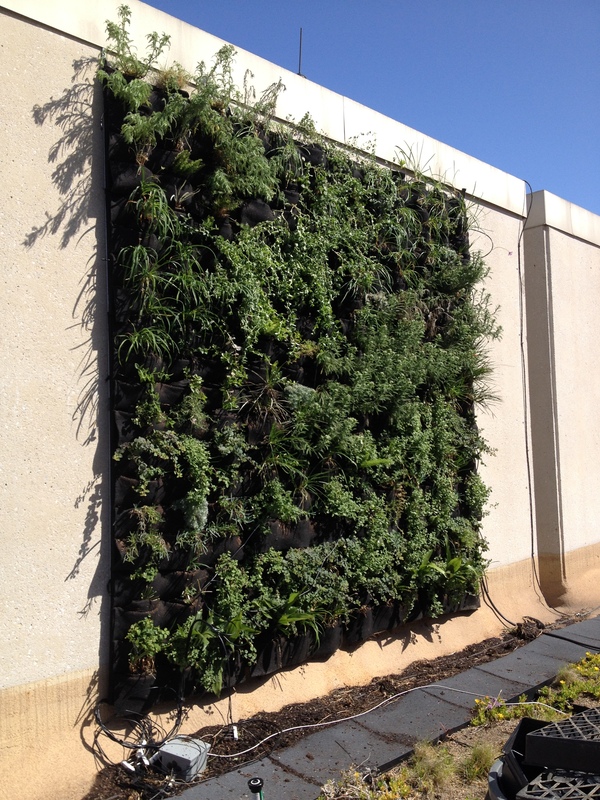 Compared to the other two green walls, I think this will be the most successful, as far as both plant growth and soil retention are concerned. 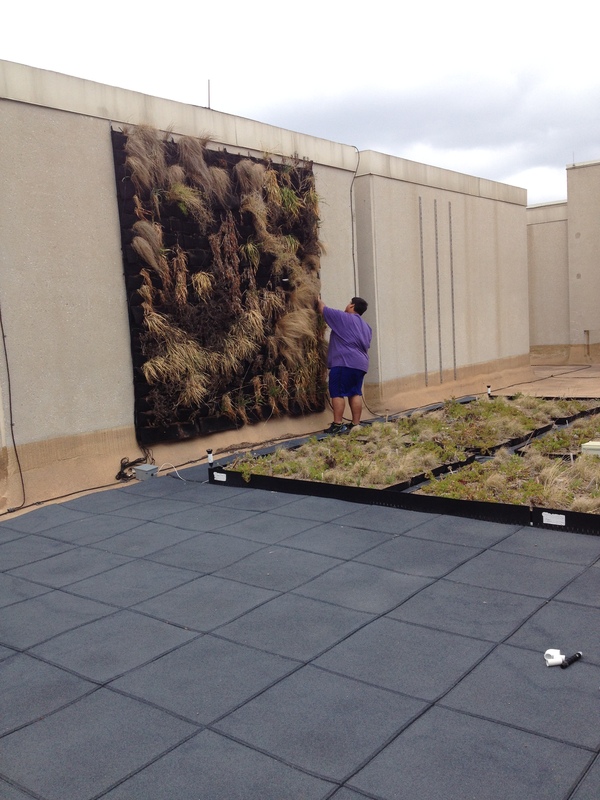 Yesterday we finished Green Wall 3 up on the roof of Langford. 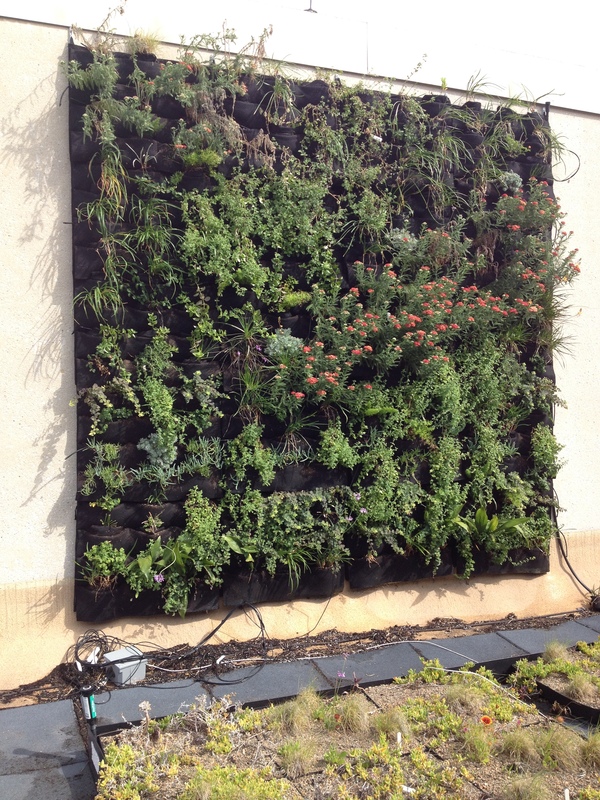 This wall was made with a modular system. 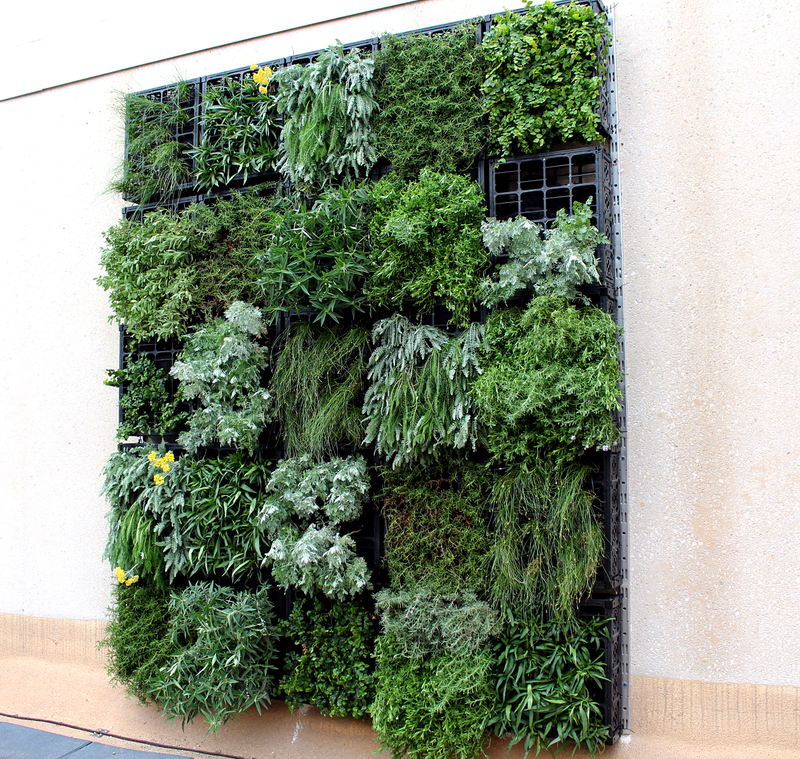 There were several types of plants used in the making of this wall, including Yarrow, Climbing Fig Ivy, Artemesia Powis Castle, Sedge, Rosemary, Thyme, and a few others. The first stage in building this wall was drilling holes in the concrete, and putting up the rail system. 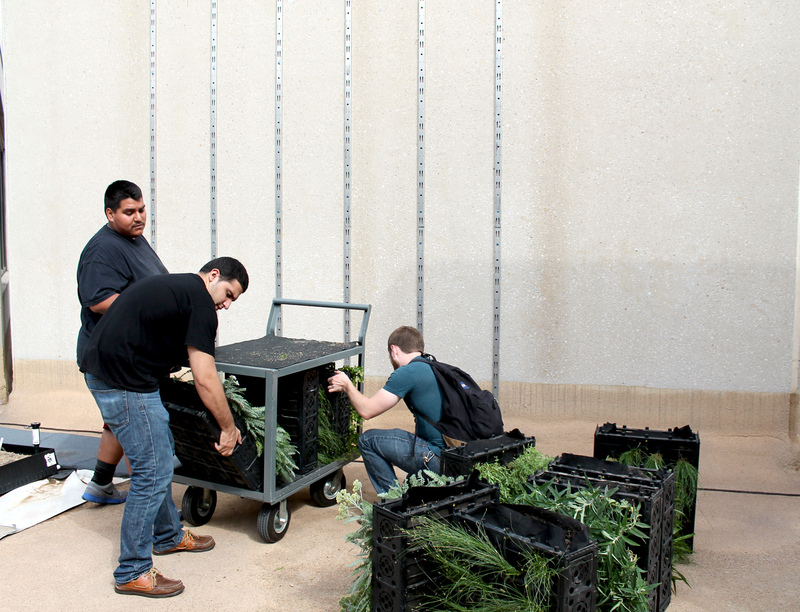 These rails hold up the boxes of plants. 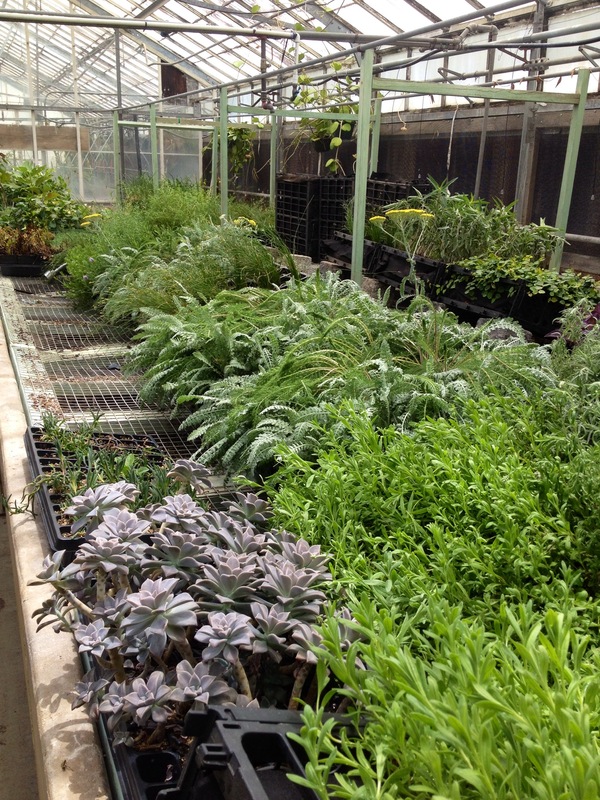 While we were finishing up yesterday, we realized that the plants might be too heavy for the rail system to support. To solve this problem, we had to add more screws to the rails. 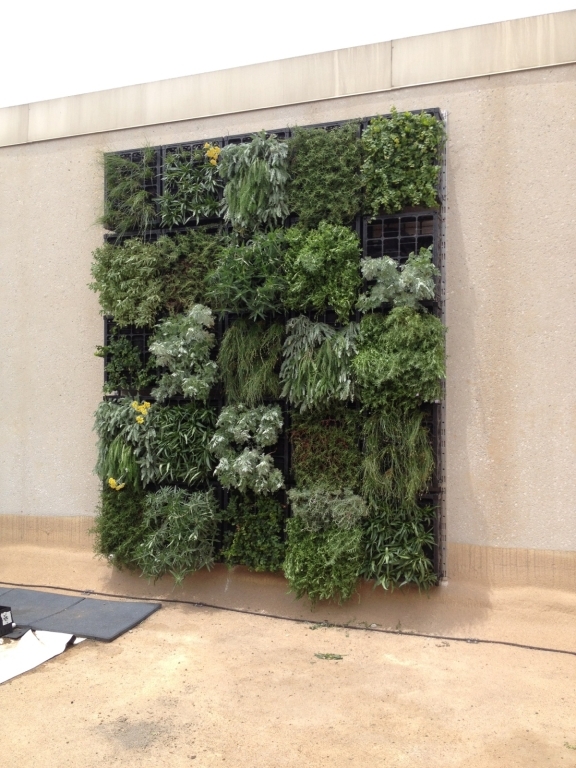 When we finished putting together the crates with the plants inside, we had to hang them up on the wall. 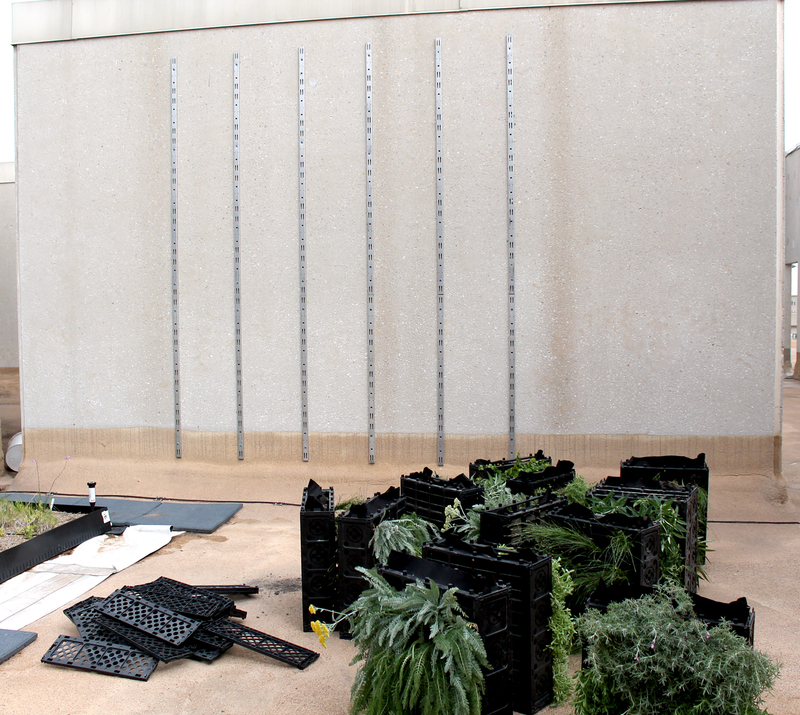 We started from the bottom, and placed the boxes so that each type of plant was featured on the bottom, middle, and the top of the wall. 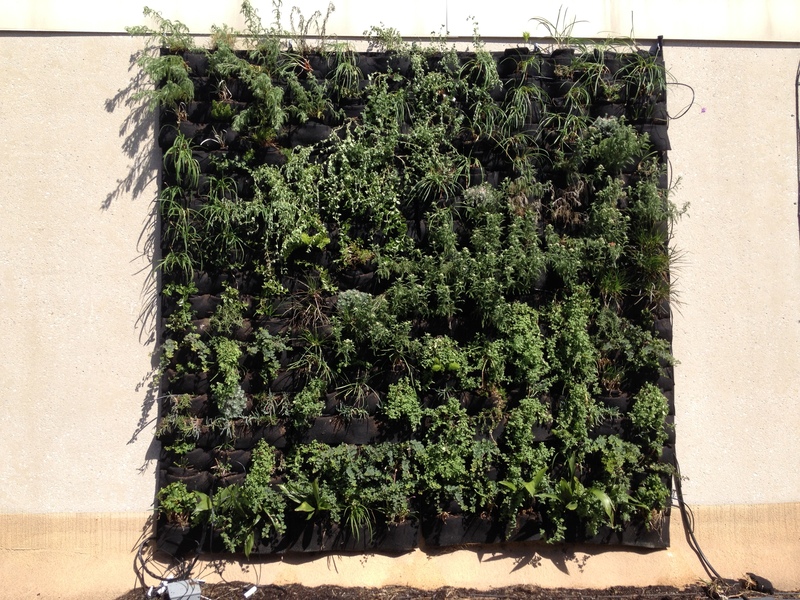 Our placement of the different plant modules was based on the goal of researching how well the plants would thrive based on their position on the wall. 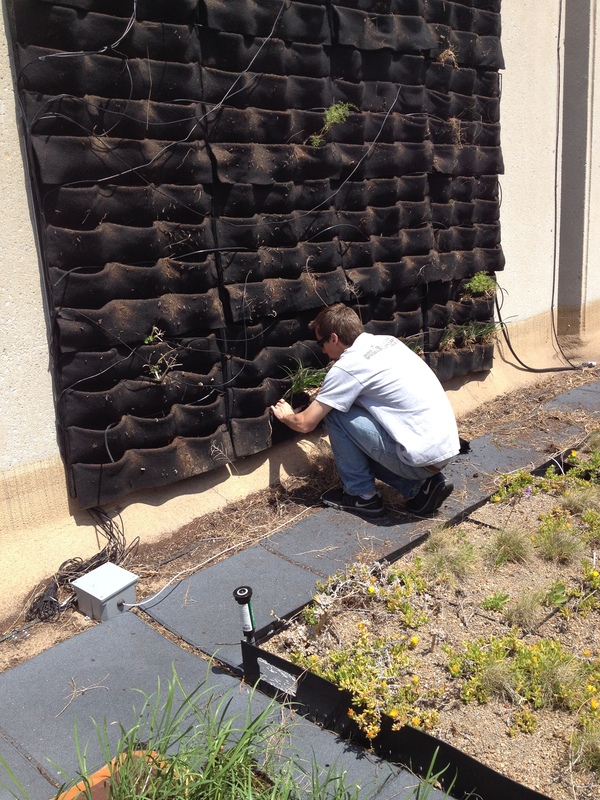 This research will come from observing the life of the plants and how well they do at their position on the green wall.